The past is a foreign country, LP Hartley once wrote. But what if a country is revealed by foreigners, mainly in the past? 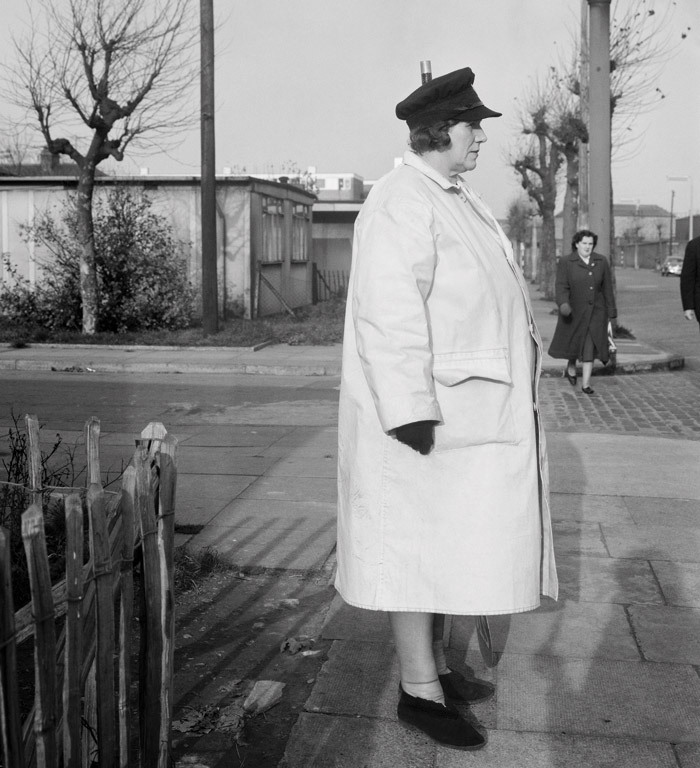 At the Barbican, Martin Parr has curated an exhibition of just that - Britain, photographed by foreign photographers, from the Thirties until now. The show has been designed by architect Witherford Watson Mann, which, with works such as the Whitechapel Gallery and a monastery converted to a library in Belgium, is good with awkward spaces, which the Barbican Art Gallery is. The show gives more space to individual photographers on the lower of two levels, where it has made the central area a study lounge. By the entrance, Shinro Ohtake is a perfect intro. On his first trip outside Japan, armed with a second hand Nikon F, he found maximum strangeness in 1977's Britain. 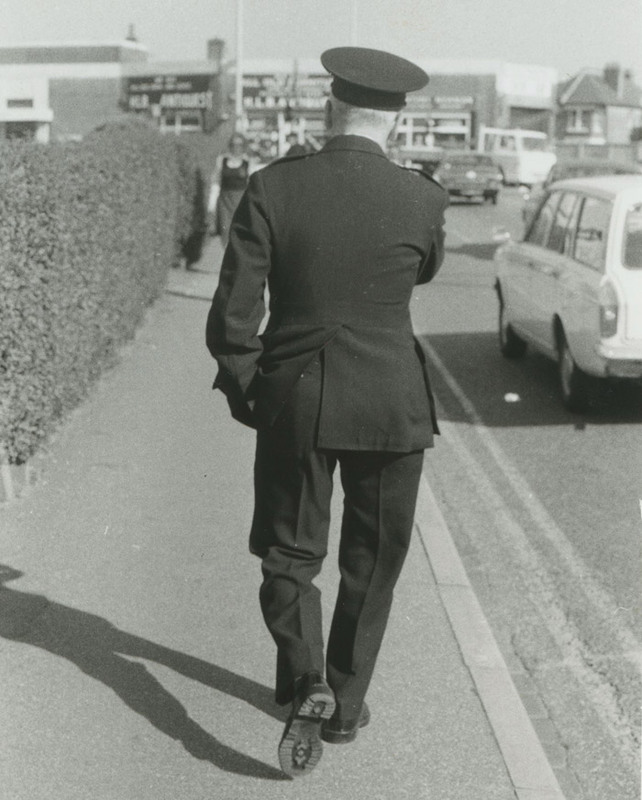 He delighted in what he saw: signs, bubblegum machines, shop windows, kiosks... and not least, people out and about, but seen from the back, as if he were following them. Ohtake is as unobtrusive as a private detective, but footloose and fancy-free. His eye for serendipitous subjects and perfect framing is not unlike Andy Warhol's, who daily shot anything that took his fancy on 35mm. By contrast, other photographers' engagement with subject is intense. American Jim Dow homed in on shops (the sort we would now call independent retailers) in the Eighties and Nineties, forensically capturing them without people. Axel Hütte photographed postwar housing estates in 1982 with the rigidly framed precision of Bernd and Hiller Becher, and they look soulless. Hütte's work is the nearest we get to architectural photography, but of course it's people who animate the built environment to make the whole picture. Few show that synthesis better than the colour work of Magnum photographer Raymond Depardon in working-class Glasgow in 1980. Blackened buildings under grey skies, kids playing in the streets, a drunk asleep outside a bookmaker - it may have become a cliché, but this is a journey into the depths of bleakness of Thatcher's abandoned Britain. It is very different from Dutch Hans van der Meer football pictures in the Pennines, commissioned by the National Media Museum in Bradford 2004. His view was that sport photographers capturing the pitch action had 'given up one of their most powerful weapons: the overview', and here it is a non-urban Britain, lush, green, with stone houses and topography. It is like fresh air. Some interest themselves only with people. Rineke Dijkstra's three gir portraits, The Buzz Club 1994, probes teenage identity (as she also does in the V&A's current show Botticelli Reimagined). But no one probes the individual as closely as American Bruce Gilden. His huge 2014 blow-ups of faces from the Black Country are stark and jarring, grotesqueness emerging from magnification like the sculptures of Ron Mueck. It's a relief to leave them for upstairs, and its denser black-and-white album collections grouped by photographer. In the Sixties, music and fashion made England the grooviest country on the planet, and photographers came to find it. 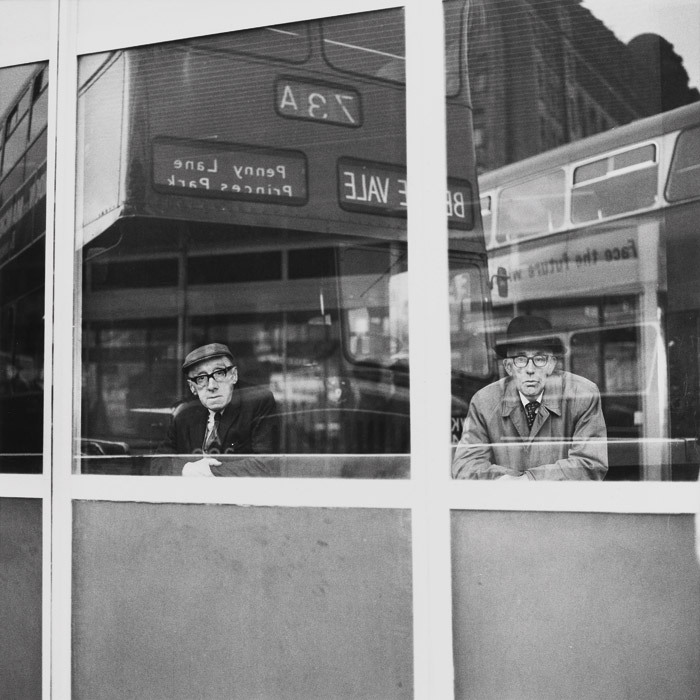 Candida Höfer went to Liverpool but found a drab city: two old men look out as a passing bus marked 'Penny Lane' is reflected in a window. The Cavern Club sign hangs in a grim Matthew Street. Merseyside fascinated her, but perhaps not in the way she expected. London, of course, was where it was happening, and no less than three photographers here documented it from 1967 to 1969. American Garry Winogrand put a wide-angle lens on his Leica, and gave pictures a slight tilt to enhance the sense of movement. Isn't that handsome devil he snaps in a floral shirt the actor Shashi Kapoor? A new sort of person - hip, looking good, assured - was out there, even on Gina Butturini's District Line platform at Earls Court. But No Loss of Face by the German photographer Frank Habicht probably gets the period's idyllic days best: 20-somethings hanging out, their legs dangling over a roof edge above a psychedelic poster, a woman naked in the bathroom below. The mood was very different in Northern Ireland, which began to haunt British news like a dull, incurable headache. There, the fear and division was real. The only thing most could do was get on with life, but with a surrealistic backdrop of streets with soldiers, barricades and sectarian murals. 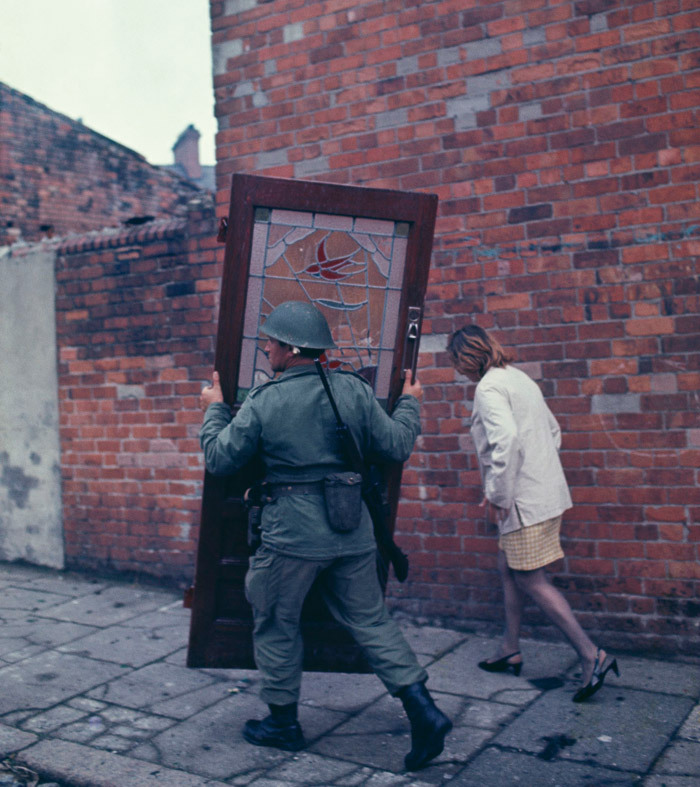 Akihiko Okamura arrived in Ulster in 1968 and remained into the Seventies, photographing the Troubles. His work is said to be consistent with a Japanese style of capturing the everyday with objectivity but, unlike Ohtake, in a place drained of joy. 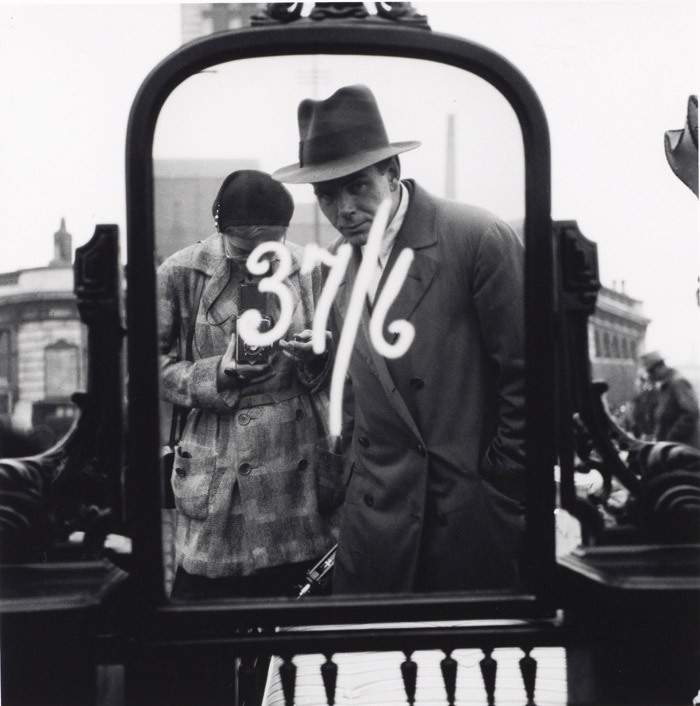 South Wales vies with Swinging London as the most covered locale, and a giant of American photography, Robert Frank, stands out for his 1953 work. We see into the faces of Caerau's miners, smeared by coal dust and exhaustion, and stand with the figures silent and blank against a wall, as a dog crosses the wet street and dark houses slope away into the slow valleys. There are few images more moving. The further back you go, the more strange and familiar Britain seems. American Evelyn Hofer photographed people at work, usually in workclothes, which defined them a lot more than today's hi-vis jackets - her 1962 Crossing Guard is a masterpiece. You simply don't see people like that any more. Chilean Sergio Larrain captured a magic in London of 1958 and 1959, for example in his dancers beneath floating wire figures. It is like a dream. The images of Thirties' London by Austrian Edith Tudor-Hart (also a Soviet spy) were realist-political. Where is such social documentary photography now? As time passes, fewer people call the UK Britain, but half the show's photographs were shot at a time when nobody called it the UK. Some might grumble that today's open, multicultural UK is becoming a foreign country, but it is the old Britain that is the foreign country to most of us now. Seeing either 'country' through genuinely foreign eyes is a revelation. Parr's own photography finds unexpected interest in the everyday, both home and abroad - but here, we go deeper and further.